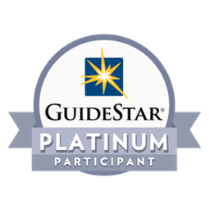 We’re proud to be a GuideStar Platinum Nonprofit Profile participant, which allows us to show quantitative metrics on the progress we’re making toward our mission. We want to give donors and funders an alternative to simplistic financial ratios to evaluate us. View our Nonprofit Profile. The BBB Wise Giving Alliance is a national charity watchdog affiliated with the Better Business Bureau system. The Alliance completes comprehensive, in-depth evaluations of a charity’s governance, fundraising practices, solicitations and informational materials, as well as how it spends its money. As a BBB Accredited Charity, the Dave Thomas Foundation for Adoption meets the Alliance’s Standards for Charity Accountability. Learn more. The Dave Thomas Foundation for Adoption has earned a 4-star rating from Charity Navigator, recognizing our commitment to good governance, financial transparency and other best practices. Only one-quarter of the organizations evaluated by Charity Navigator have received this “exceptional” designation. Learn more. The Dave Thomas Foundation for Adoption is Standards for Excellence® certified, which includes an intensive three-stage independent review process confirming an organization’s commitment to the highest standards in nonprofit governance and management, while at the same time staying focused on the people and communities they serve. Learn more. The security of your personal information is very important to us. We use online safeguards and also have security measures in place at our physical facilities to protect against the loss, misuse or alteration of information that we have collected from you. To protect the security of your credit card information, we use Secure Sockets Layer (SSL) technology. This internet encryption protocol scrambles data as it travels from your computer to our server. Learn more. View the Dave Thomas Foundation for Adoption’s most recent IRS Form 990. View the Dave Thomas Foundation for Adoption’s most recent audited financial statement.